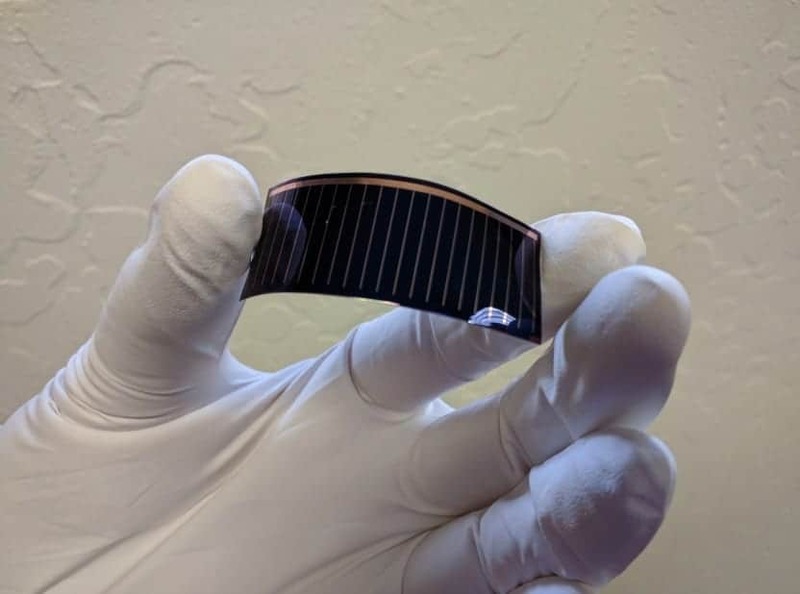 Alta Devices has announced the launch of its fourth-generation solar cell technology (“Gen4”), which weighs significantly less than the previous generation technology (“Gen3”) and results in an improved power-to-weight ratio of 160 percent. This technology is designed to power state-of-the-art unmanned aerial vehicles (UAVs), solar cars and other electric vehicles. It can be used to generate substantial power over small surfaces with minimal impact to vehicle design criteria. Autonomous power is critical because each sensor, processor or communication device added to increase system capabilities simultaneously increases power demand. For example, in order to be of practical use for applications like remote internet connectivity, a high-altitude, long endurance, unmanned aerial vehicle (HALE UAV) needs to add sensor-based avionics and navigation, in addition to reserving power and weight budget for communications payloads. Adding additional batteries or energy sources add weight and bulk, and are still limited to only a few days of energy supply due to aircraft weight limitations. Alta’s solar technology easily integrates into the surface of the aircraft or vehicle without upsetting aerodynamics, while providing an abundant supply of power. To envision what this could mean, consider for example a large solar powered aircraft such as the Solar Impulse 2: if Alta’s Gen4 technology had been available and used on this aircraft instead of crystalline silicon, the result in weight savings would have been up to 100kg. In addition, this technology would have provided up to 15 percent more solar power. The benefits for operations would include a larger service ceiling, faster rate of climb, and the ability to operate at higher latitudes in winter while carrying more sophisticated and capable payloads. In summary, at the solar cell level, Alta’s new Gen4 technology provides a weight reduction of 40 percent or a power-to-weight improvement of 160 percent over the earlier Gen3 version. Alta Devices’ Gen4 product is a lightweight, flexible solar cell produced with single-junction GaAs technology. Alta has now transitioned its production to Gen4, utilizing cells that are significantly thinner than the previous generation while continuing to improve electrical performance. This translates to going from a ratio of 240 g/m2 to 170 g/m2 at the matrix level, including cell-to-cell interconnects, ribbons and protective diodes. The reduced thickness of the Gen4 cells also results in a smoother, conformal and more aerodynamic surface when integrated into solar vehicles and UAV platforms. Alta Devices has broken the solar cell efficiency record (single junction) more than four times since 2010 and has held the world record for single junction solar cell efficiency since 2012 at 28.8%.